Hazaribagh is a city and a municipality in Jharkhand state. This city is famous for its national park and its health resort. The name “Hazar” and “bagh” – means a city of one thousand gardens. Hazaribagh is located on NH 33. Major cities near to this place are Ranchi, Dhanbad, Bokaro and Gaya.It can be called a semi hill station. This area was once covered by thick forest and still it is surrounded by forests. River Konar – tributary of Damodar River passes by the city. Hazaribagh has the 2nd largest coal reserve in Jharkhand. There are many tourist attraction in the city for nature lovers to spiritual people including Barso Pani, Konar Dam , Budhwa Mahadev mandir , Panchmandir and many more. Barso Pani Cave : It is believed if you say “Barso Pani” – it starts raining here. It is located in Barkagaon, about 50 kms from Hazaribagh. A 5km stretch of bumpy road and then a km of trekking take you to this place. Budhwa Mahadev Mandir : Dedicated to Lord Shiva , the temple is located in the heart of the city. It is believed that the temple is about 100 years old. Canary Hill: It is located near Hazaribagh. This is a beautiful park with three lakes and an observation tower. This tower provides a panoramic view of the town. Hazaribagh National Park: Situated at 19 kms from hazaribagh is the home town of some deadly beasts. The main attraction of this national park are Tigers, Bisons, Spotted Dear, Sambhars and a number of other mammals. Because of less number of Tigers, they are hardy visible. The national park can easily be reached hiring a taxi, cab, rickshaws from hazaribagh. Konar Dam: It is located 41 kms from Hazaribagh. Built on Konar River – a tributary of Damodar river , this dam is the second of four multipurpose dams of Damodar valley corporation. This dam provides a great scenic beauty and is a famous recreation spot of this area. 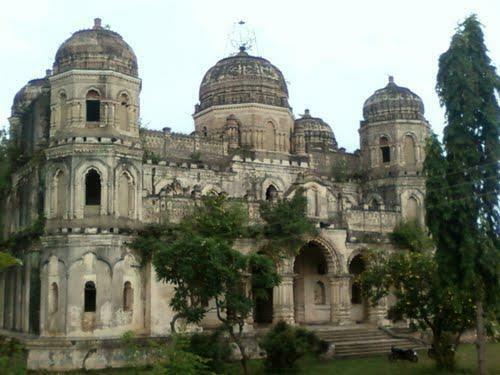 Narsingh Temple: Narsingh temple is located 10 kms from Hazaribagh. It is devoted to lord Narsingh one of the incarnation of Lord Vishnu. The temple attracts a lot of tourist from all over the country at the time of the fair organized every year. Panchmandir: Panchmandir is dedicated to Lord Krishna and Raddha. The temple walls are not build of cement but are made up of eatables like dal and are strong enough to bear even the harsh earthquakes. Surajkund Hot Spring: It is one of the natural hot water springs and is believed to be most beautiful of all. This reservoir is as old as of 10 century. SwarnaJayanti Cafeteria: Swarnajayanti cafeteria is built on Lake Hazaribagh. It is one of the best family attractions. Tillaya: Tillaya Dam also known as Jhumri tillaya dam is located 45 kms from Hazaribagh.It is a hydro electric power station constructed to prevent floods. Chadwa Dam : It is 15 kms from the town and is the basic water supplier to the town. Saheed nirmal Mahto Park: This Park is spread over an area of 33 acres. Parasnath Temple: Parasnath temple is one of the most popular jain temple. 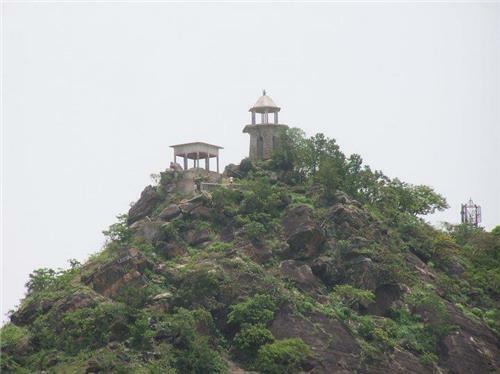 It is situated at a height of 4480 feet and is 90kms from Hazaribagh. This temple is dedicated to Lord Parasnath – 23rd tirthankara of jains, where he got moksha (salvation). Every year thousands of jains visit this place. In ancient times this area was covered with dense forest particularly inaccessible for the outsiders and was inhabited by the local tribes which loved to remain independent. This town became a cantonment in the year 1790 which lasted till 1884. This resulted in a planned old city , which is now known as Boddam Bazar. Hazaribagh Central jail saw the imprisonment of many freedom fighters. Hawaah Palace Padma one of the popular places to visit in Hazaribagh attracts tourist and vsisitors from across the regions of Hharkhand and other states. Best time to plan your trip to Hazaribagh is between October to April . During these months of the year the weather remains pleasant letting you enjoy your holidays at fullest. F.F.P Bhawan, 2nd Floor, Dhurwa, Ranchi-4. Hazaribagh does not have its own airport. Nearest domestic airport is Birsa Munda Airport, Ranchi, roughly two hour drive from Hazaribagh. And the nearest international airport is Netaji Subhash Chandra Bose International Airport, Kolkata roughly 389 Kms from Hazaribagh. Both the airports are well connected from different part of the country. Hazaribagh railway station is about 75 kms from the main town. This station is located on Delhi – Kolkata railway line. With the large influx of tourist in the city, Hazaribagh offers a great variety of deluxe and luxury accommodation facilities in the well maintained hotel and suites to ensure your pleasant stay. The wide variety of accommodation facility allows you to plan your stay in this city. Some of the famous hotels in the city are listed below. Book any one of these to make your stay pleasant. There are many Travel agents and Tour Operators to ensure a safe and hassle free movements around the beautiful city of Hazaribagh. Few famous Travel agents and Tour Operators are named below. Where to Shop in Hazaribagh ? Though Hazaribagh is limited in terms of markets and other shopping venues yet you can be sure about getting some of the most peculiar stuff from here. But if you choose to shop Urban Haat is a good option. It is located at a distance of 3 kms from the town on NH33. It offers a lot of handloom garments, terracotta and molded figures for the art lovers.The city offers a lot of road side food vendors from early morning to late night for the food loving people. Hazaribagh can be developed in a very nice tourist place in jharkhand. The natural lakes near the town with boating facility and cafeteria for recreation is very nice canary hill about 3 kms from the town gives additional beauty . National park about 16 kms and rajderwa 10 kms from the gate is another attraction . Salparni dam 14 kms on Nh33 also available. Narsingh sthan temple 7 kms where mela is organised in kartik purnima is very famous. Rajrappa where chhinmastika temple is very nice place. Itkhori is famous for bhadrakali temple and Buddhist circuit. Barkatha has hot water spring. Balbal near katkamsandi is also famous for hot water spring. Nirmal mahto park on Nh33 near circuit house is a nice place to visit. Above all the weather of hazaribagh is very good for health and can be said as mini hill station .Peace and helpful people is the beauty of the town................ TOURISM NEEDS TO BE EXPLORED.